Autumn is the season for Midlifers - we're past the hot and sweaty stages of Summer and the fluctuations of Spring. Now we're basking in the warmth and colour of Autumn (or Fall if you live in the US). It's a golden stage of life where we've put in the hard yards - we've gone the distance in our relationships, we've raised our children, we've invested in our homes and laid the foundations for being financially stable. Now we're reaping the benefits and enjoying the glow and warmth of this season. Winter is in the future - that will be the time when things slow down, the aches and pains escalate, there will be the sense of getting "old" and heading into the last stage of life. But Winter is still a long way off. This is Autumn and it's a fantastic season of life - one to relish and to bask in. Nobody could ask for more. If you'd like to hear me tell you about Midlife Autumn (in my Aussie accent) then feel free to watch my little movie below (I'm not sure if you can see it if you're a Mac user - sorry!) It'll be on my Facebook page too if you can't open it here - feel free to follow me there for updates on my new posts. If you'd like to read more about Midlife and Autumn you can go HERE or HERE. See you tomorrow for B - which is for Blogging in Midlife. I love your Aussie accent, Leanne and what a cool idea to make videos! 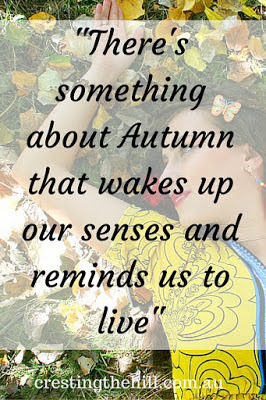 :) Agreed; Autumn is a great season. We can relax more and be true to ourselves. My post doesn't go live until 12:01 am Eastern Daylight Time. We North Americans are way behind when it comes to the A to Z. Cheers! Even though I live in south Florida were the weather is always tropical, I LOVE autumn----it's my favorite time of year! It is a lovely time isn't it Marcia - warm and golden (hopefully people can say the same thing about Midlifers) -although I may be grey and haggard by the time I finish the challenge! Leanne, I am sure you enjoy a wonderful Autumn season wise and in life, in India specially for the Bengalis Autumn is the season of festivals - Durga Puja, Navratri, Diwali - a huge list of festivals awaits us every Autumn. Don't really know if we have a legit autumn. Nice idea to have videos! Here in S.Africa we don't really have an Autumn in our weather. We kind of move rapidly from summer into winter with a few trees shedding their leaves but nothing as beautiful as the States. A great idea to share your voice with your Ausie accent with us. :-) I must try to share my S.African accent with you sometime too. I'm following you for the A to Z. Jumped into the challenge last minute but I'm glad I did....it's great that even the weather reminds us to live...I look forward to the other entries. Wonderful post, Leanne! You're work is getting better and better! You're a role-model for other bloggers. I'll be visiting to see what's next. So glad you decided to play again this year - what a delightful post. And I loved listening to you speak. Autumn is such a rich season - both in nature and our lives. I look forward to your continued posts. I too am loving this Autumn of life. Autumn was always my favorite season in the US- I always figured because I was born in September. Now I live in Ecuador where there really aren't seasons. My A-Z challenge is A Goddess' Glossary. Good luck with the A - Z! Hi I found you via Arlee Bird. This is my eighth challenge, I love ths A in this chllenge and glad you're doing it again. I think I've past "Autumn" but don't dwell on it. Good luck with the rest of the challenge, hope to be back. Oh Autumn sounds aspirational (how's that for another A) at the moment. A wonderful launch to your A to Z for this year! - Enjoy! This is a great analogy. I love autumn it's such a pretty season! LOVE the video, your accent, and this post. I suppose I am in the autumn/fall of my life but my fav season is summer! I wish you well on the a-z challenge. Thank you Leanne for sharing this post at the #BloggingGrandmothersLinkParty. I shared it on social media. Love the video Leanne you should make more of them. A great start to your A-Z Challenge and so spot on! Congratulations! Really well done! Love your accent and although I sometimes look back and yearn for the spring of my life, autumn is much calmer and peaceful. Great article. Thank you for sharing at the #BloggingGrandmothersLinkParty. I have shared on social media. This resonated with me as I am in the fabulous midlife too. How creative to record your post. Thanks for dropping by my post. You are my kind of girl. As a woman in the fabulous autumn I am embracing life like never before. I look forward to reading more about your mid life journey. It's an interesting post and I'd sure like to read more on your theme! You've given one good reason to look forward to middle age! I just love this post! Such a great way to look at life from this stage. So positive and inviting. Thank you! I'm a Mac user, so thanks for the tip, went over to your FB page, liked it and listened to your fabulous accent! Beautifully put, all the nice aspects of the autumn of life! I am also a fan of Autumn (both literally and figuratively). 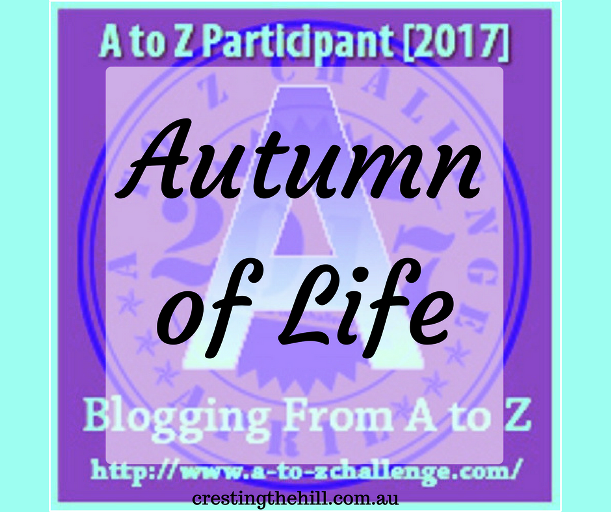 I look forward to following your A - Z Challenge! I love your take on the Autumn of Life. I'm right there with you. I also like the A-Z Challenge. If I get brave, I might try something similar on my blog. Thanks for the fun idea. 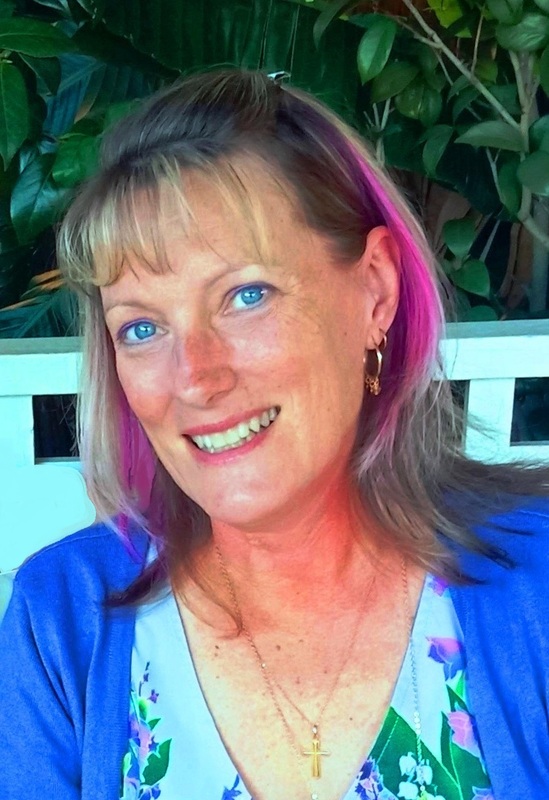 Thanks for linking up at #overthemoon Leanne, a good luck with the A-Z. I must say autumn is the favorite season of all. Now just create videos but relax and enjoy every single moment.